"That thing belongs in a museum." Hello boys and girls. 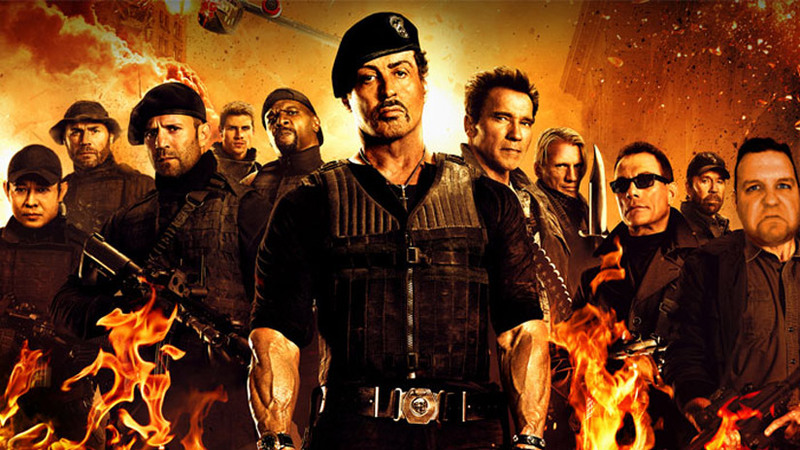 Today’s FNE Movie Month film is a small art house film called The Expendables 2. This….This is not a good film. But let me tell you something - it was still pretty fun. Some of the dialogue was funny. Some of it was cheesy. Some of it was down right bad. Same with the delivering of the lines. Some were okay, others not so much. Yes, I sad that again. This movie is all about the nostalgia of the 80s action movie and this movie pretty much delivers on that with big action pieces, the foreign villian, and all those old dudes…. I love Stallone but I have more gray in my hair then is on his head. I loved the inclusion of Chuck Norris - why the hell not!? - and a few times when we see him the theme from The Good, The Bad, and the Ugly plays. "In 1982, Lundgren graduated with a master’s degree in chemical engineering from the University of Sydney, finishing with the highest results in his class. During his time in Sydney, he earned a living as a bouncer in a nightclub in the renowned King’s Cross area. He was awarded a Fulbright Scholarship to the Massachusetts Institute of Technology in 1983"
The man really is that smart. This movie has been in my Netflix queue for quite some time, so now is as good a time as any to see it. The next few on my list will be more mainstream, well known movies - many of them award winning. Wait - Expendables 2 won and was nominated for some awards too, what am I saying!? Actually I’m saying the next few movies I see will be a lot better than this - but I am glad that I saw this, I enjoyed it for what it is, and I look forward to see what Harrison Ford, Wesley Snipes, Kelsey Grammar, Antonia Banderas, and Mel Gibson bring to Expendables 3…. Probably more of the same - but that’s okay. 10 down. 20 to go!